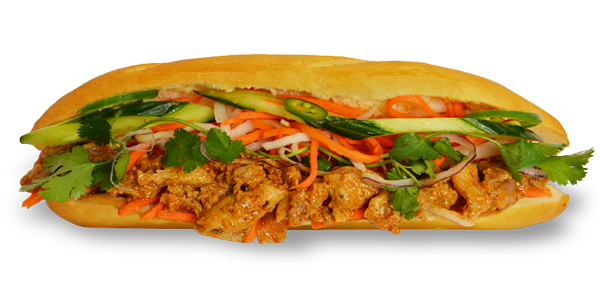 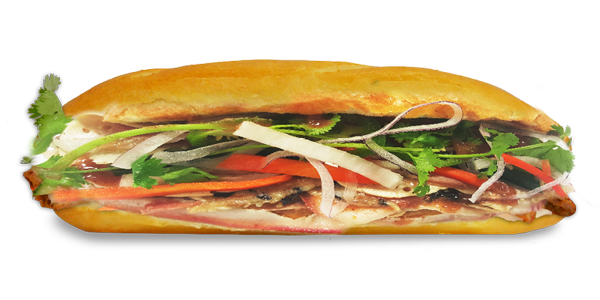 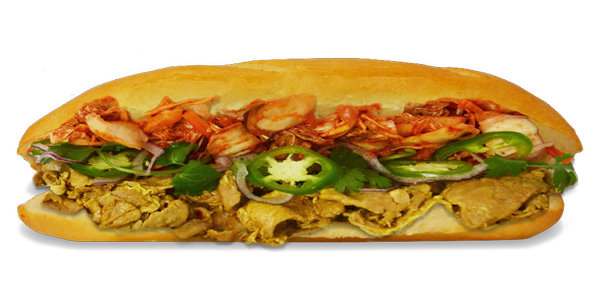 A classic Vietnamese sub containing 4 different pork cold cuts toasted on a freshly baked Vietnamese baguette served with your choice of greens. 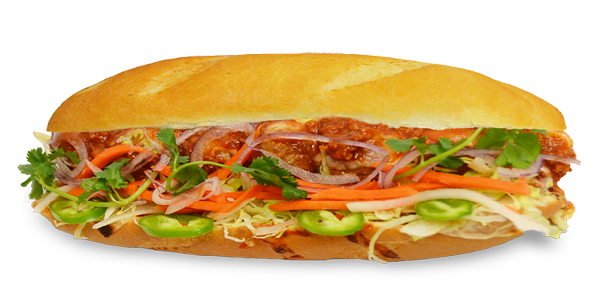 Beef meatballs with a special meat sauce all on a freshly baked Vietnamese baguette, topped with your choice of greens. 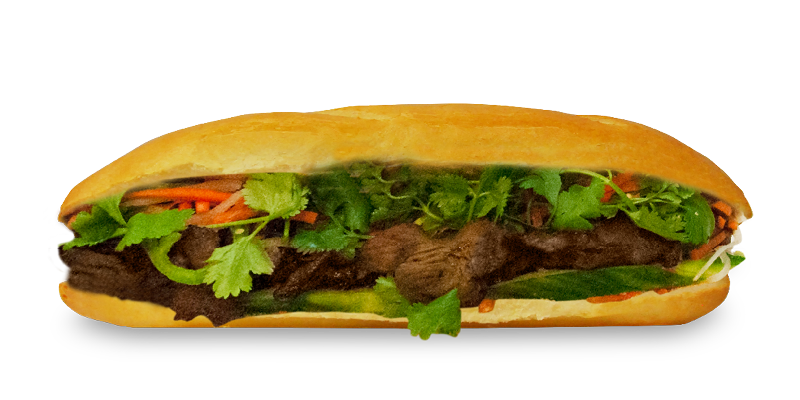 Thin sliced beef marinated in a special BMS sate sauce served on top of a Vietnamese baguette, topped up with your choice of greens. 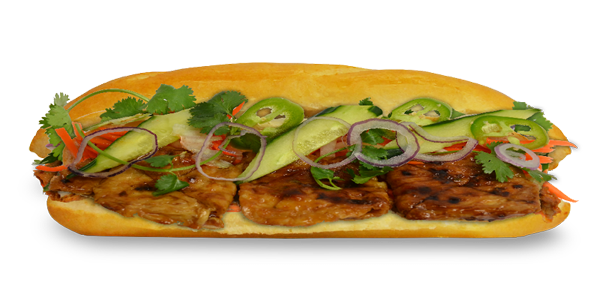 Chicken marinated in a special BMS sate sauce on top of a freshly baked Vietnamese baguette, topped up with your favourite choice of greens. 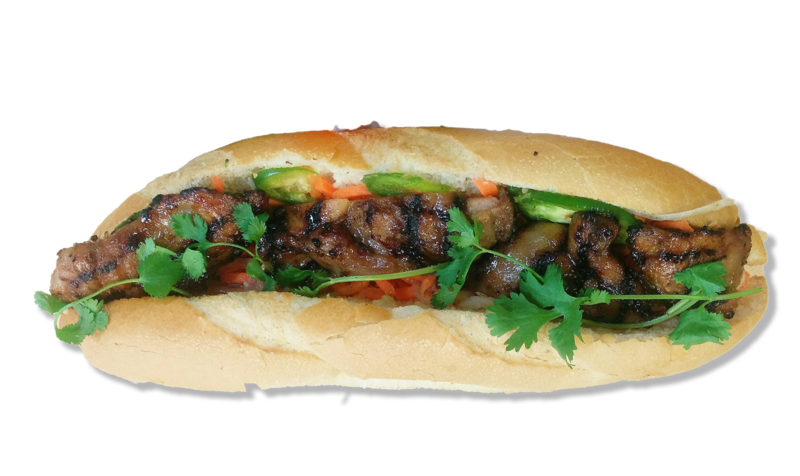 A BMS marinated grilled pork to perfection on top of a freshly baked Vietnamese baguette, topped with your favourite choice of greens. 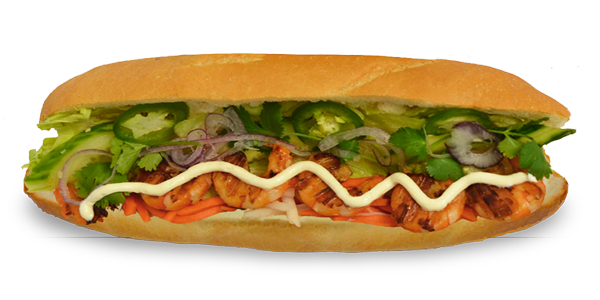 Grilled marinated shrimp on top of a freshly baked Vietnamese baguette, topped with your favourite choice of greens. 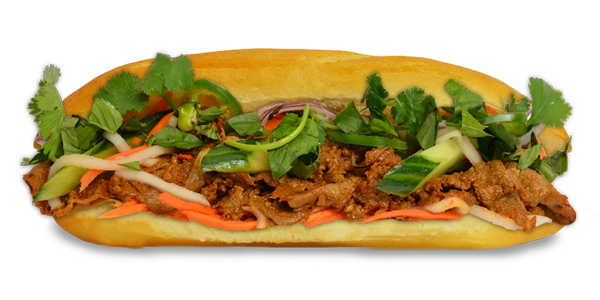 Korean-style spicy marinated pork, paired with whipped mayo and kimchi, served on top of a freshly baked Vietnamese baguette, topped with your favourite choice of greens. 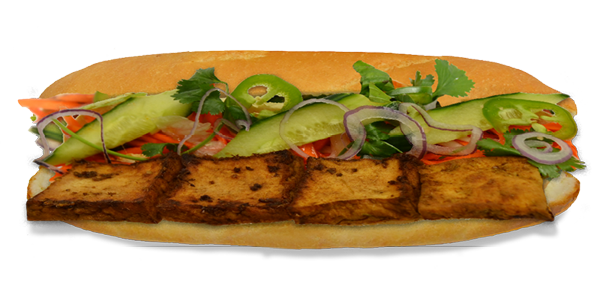 A unique vegetarian fusion of southeast asian cuisine where lemongrass tofu meets kimchi on top of a freshly baked Vietnamese baguette, topped up with your favourite choice of greens. 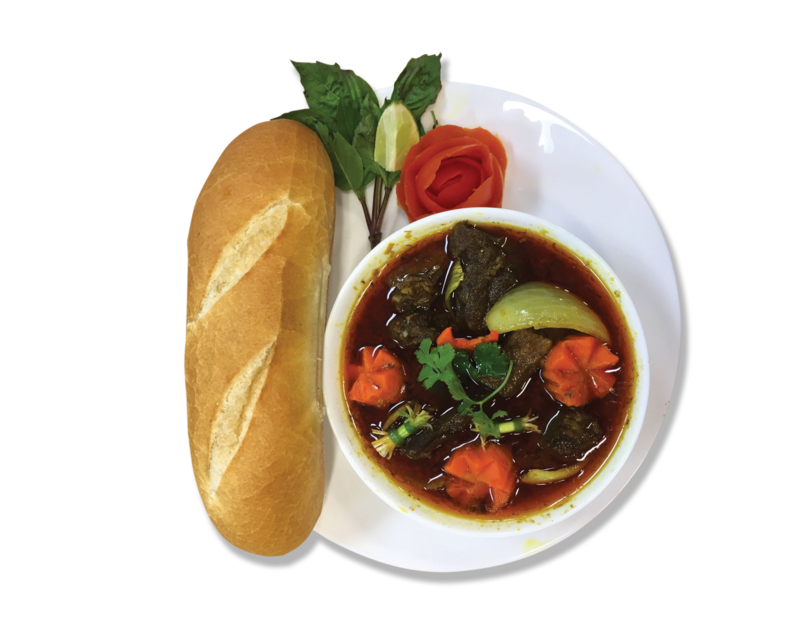 A BMS marinated beef tendon, beef flank soup served with freshly baked Vietnamese baguette. 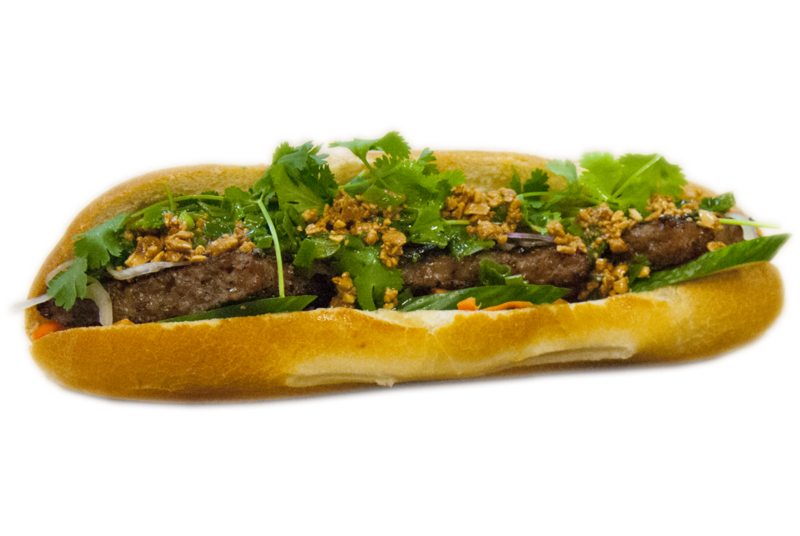 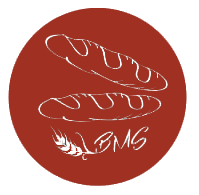 BMS's special pork patty grilled to perfection on top of a freshly baked Vietnamese baguette, topped with your choice of greens.